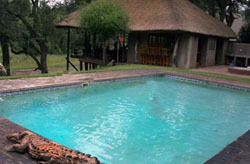 Sebe Sebe Lodge is situated about 70km northwest of Lephalale. Awaiting you are some of those African moments that rekindles your local roots. Embrace the fact that the journey there helps in setting the scene with the beautiful landscape and surrounds preparing you for a warm reception at the lodge. 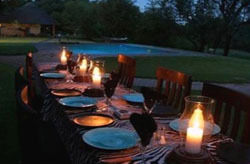 The exquisite decor compliments the character of Sebe Sebe Lodge and you will immediately feel at home. Visitors can settle on the large deck looking directly onto the Limpopo River and across into Botswana or have a drink in the adjoining cosy pub, complete with large screen satellite TV. only). A set menu is offered. or open game drive vehicle. 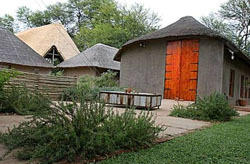 Sebe Sebe Lodge is not an "all bells and whistles" commercial resort, just bushveld at its very best with food and amenities to match. 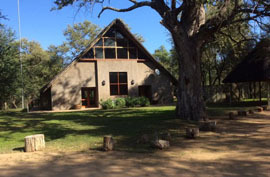 If you just want to get away from it all and get back in touch with nature, yourself, some good friends, or a romantic partner, Sebe Sebe Lodge is a great place to go. You will be reminded just how fortunate we are to live on a continent where we can find great surprises like this, where you least expect them. To book now check avalability here. where you least expect them.